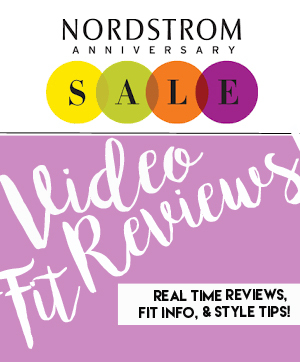 The second best day ever is here…when the Nordstrom Anniversary Sale 2016 opens to the public!!! 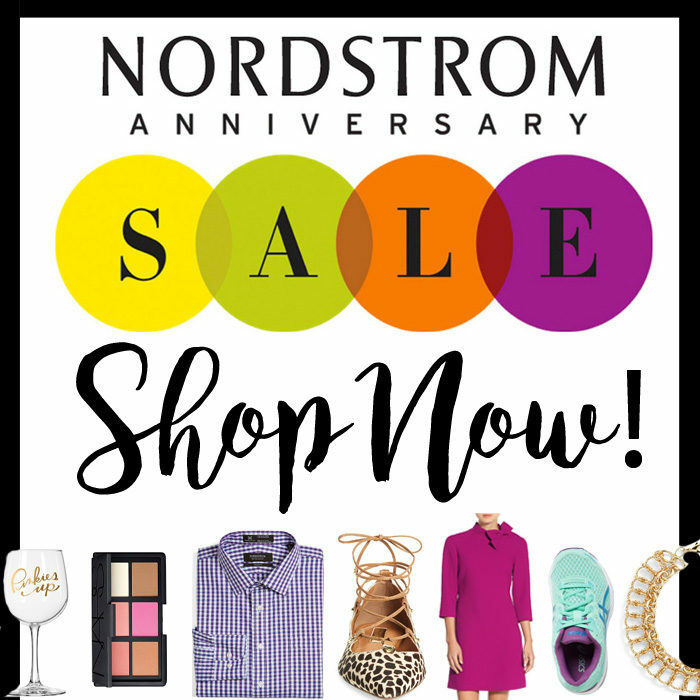 All of you guys who don’t yet have a Nordstrom card and have been drooling from the sidelines can now ACT FAST and take advantage of all of these amazing Anniversary Sale deals! I created an entirely new (and huge!!!) post with EVERYTHING Anniversary Sale that you need to see. I chose favorites from ALL categories…Women (Tops, Bottoms, Accessories, and Shoes), Mens (Casual and Business), Kids, Home, and Beauty and have them all listed below. Lots of your pre-sale favorites have been re-stocked online overnight, so don’t hesitate this time! Happy Shopping, friends and HAPPY FRIDAY!!!! Also, I’ve listed the categories below in the order that things have been selling out, meaning act on Women’s shoes (namely boots), fashion tops, and accessories (handbags) FIRST! Lastly, I’m sharing FOUR new moodboards today, which I will list all details for, but the ones that I’ve already shared will be linked back to the original post for more details. As always, you can shop each board simply by clicking on the item that you want more information about! Dan’s absolute TOP pick! These golf shirts are SO soft and he absolutely loves them. They are definitely a luxe golf shirt and he wears them to the office on Fridays as well. Try one for your guy, trust. I love these Nikes! A great neutral for Fall and an even better price! A bit of an investment piece, but something that guys will wear day after day. I love this with a dress shirt and slacks when wearing business casual, but also with a t-shirt and jeans for the weekend. It comes in a ton of colors and I think that it’s very very versatile. This Barbour jacket is so dreamy. The classic quilted look gets me every time, but it’s no secret that I’m a sucker for Southern Preppy. This is another piece that will last for years and years to come. Crushing on this casual watch set…what a great gift! I bought this for Dan last #NSALE and it’s been so well-loved. It’s his go to piece to throw on to go to the gym as the weather cools and for under $40, that doesn’t bother me at all! Tons of colors…. Love this full zip Patagonia for a more structured jacket for Fall. A great neutral color and something that can be worn for casual errands or even a casual date night. These classic driving shoes are no brainers for this price! Leather sneakers for guys are ALL OF THE RAGE his Fall, so clearly I had to buy these for Dan to keep him on trend. Luckily, he loves them and they look great with jeans! Also, they’re Sperry so you know that they’re comfy. AG jeans are Dan’s 100% favorite and we always buy a pair of these guys for Fall. He normally goes with #14 because it’s a more relaxed fit and more flattering on his particular shape. Option #15 is more of a slim fit. A great trim fit black suit that’s a bargain on any budget! Great for a recent graduate! Dan’s favorite trim fit suit. He’s been buying these year after year and they just fit well. Also, if you buy a suit online and need it hemmed, Nordstrom will do that complimentary for you if you have a store nearby. Just bring your receipt in and they take it from there so that you get even more of a custom look. We stock up on these every year, they are great trim fit dress shirt that “just fits.” If your guy wears a suit everyday, these are absolutely worth trying…especially at under $50 each! Since my hubs prefers a chestnut leather + navy suit combo more often than not, he really gets a ton of use out of this belt. I will say, that after nearly two years of wear it still looks great! An awesome piece for the price. This is a great time to stock up on business essentials like ties. Dan owns both of these and they work with great back to so many dress shirts and suits in his closet. Yes, these are an investment, but they are also Ferragamo. If your guy wants to step up his workwear game, these are absolutely a great way to do that. They are a classic and can be worn for years. These are less expensive but still just as amazing. Dan has these (they go back to the belt #5) and they have proven to be well worth the price tag. He wears them nearly daily in two years has had them re-soled, but they are still going strong. A really pretty business casual watch for the guy who doesn’t necessarily want to wear a flashy metal watch. This one will be over $500 at full price. These are another great dress shoe option and definitely the most reasonably priced. Great for a guy who doesn’t want to spend a ton, but still wants to look sharp. This carry-on is so essential for a business traveler. Lightweight, functional and high quality…this makes a wonderful gift! I mean this sport coat is so dreamy to me. I want it for Dan SO bad. Can you even handle it with babies in Uggs?! This Honest gift set is something that’s great to order multiples of and send as baby gifts. The lavender by HCo is so good and calming…such a great deal! One of my top picks for kids is always outerwear and this reversible water repellant jacket for girls of all sizes is such great deal! Warm enough to carry through the entire winter, this NorthFace jacket comes in multiple colors, but will go fast! Same as above, a great outerwear piece to carry your little guy through the winter. I LOVE Tea Collection for Landry. It’s casual play wear that doesn’t lack style and the prices during Anniversary are crazy good! I stocked up on these little dresses for Fall, especially at under $20 each! Pair them with leggings as the weather cools! Every little guys loved Under Armour, right? These inexpensive tees are great things to stock up on for Back to School! Gold Sperrys for girls…need we really say more?! This tech jacket is a great lightweight transitional piece for boys. A great color and something thats sure to get a ton of wear! These hooded long sleeve tees are great to wear in chilly Fall weather or as a base layer during winter! Obsessed with this color and I like the toddler version of these has laces, but is also secured with velcro. These Sperry boots for boys are an absolute MUST have. I kinda want them in my size, but I die thinking about handsome baby boys wearing these with jeans and a sweater this Fall. Landry would NOT let me leave Nordstrom without buying her these gold glitter sneakers! I mean the girl had a point! These high top Chuck Taylors are so cute for boys and always a great price! Oh this pom pom throw is calling my name….drape is over your favorite chair for styling or snuggle up in it! How cute as a casual wedding gift?! Turkish towels are kind of my favorite and I love the idea of buying a few of these to have on hand and then having them monogrammed as you need gifts! This marble tray is amazing for styling on top of a kitchen counter, bar cart or even bathroom vanity. I also love it to use functionally as a cheese tray. This barware + gold metallic gets me every time! I love this wine set etched with he state of your choice. Actually a great price for custom wine glasses, too! SOOOO many of you ask about my leopard rug in our living room and this is such a great similar option…so much so that I’m really contemplating getting it. It’s made by one of the highest quality rug manufacturers and they are offering great discounts on all sizes!!!! Another great serving piece, even better price! These serving boards with the copper handles are probably one of my favorite home picks. I think that they would look so chic displayed on a kitchen counter top, but are also very functional to serve things like burgers, pizza, etc. on! Ummmm how amazing are these Greek Key pillows??? I cannot get over that they are under $30! How darling are these coasters?? Other ways that I’ve blogged through the sale!